Disclaimer Notice: I’ve received products/compensation as part of the Eileen Hull Inspiration Design Team. This project however, is 100% my own project! Some of the links in this post are affiliate links. I explain more here. Hi to all my Eileen Hull Design Fans!!! I hope you have enjoyed our month long celebration of "April Showers Bring May Flowers"! Eileen Hull Inspiration Team has shared their excitement with beautiful projects using her fabulous flowers dies. I hope you have been inspired by them. If you missed any just head over to Eileen Blog HERE to see them!! 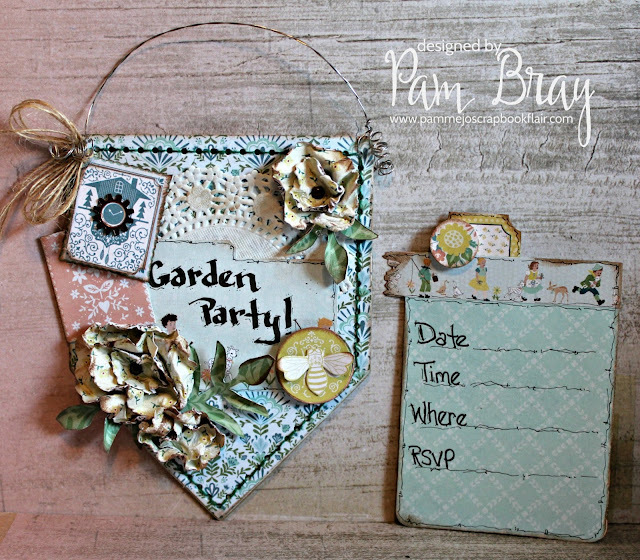 Today I am sharing my Garden Party Invitation with you! It is so easy to create using Eileen Dies! Die cut 1 of the larger house pocket and 2 of the larger with stitching pocket die! Stitch the 2 house pocket dies together with your favorite color of embroidery floss. Adhere together; leave top open to place invitation in. 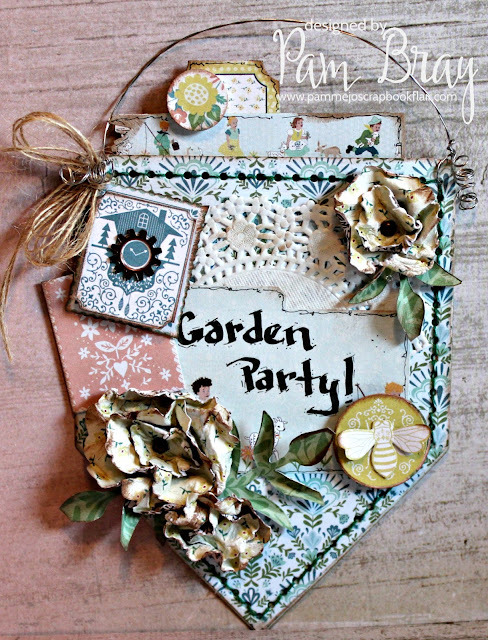 Ink edges pf sticker with Colorbox Nutmeg Blend Ink; write "Garden Party" using the Sakura pens. Ink edges of paper doily; adhere to top along with sticker from collection. Die cut Romance Flower from pattern paper; spray with water. Wad into small balls; dry. Open flowers up and layer together with brad. Add prepared flowers to top of pocket. 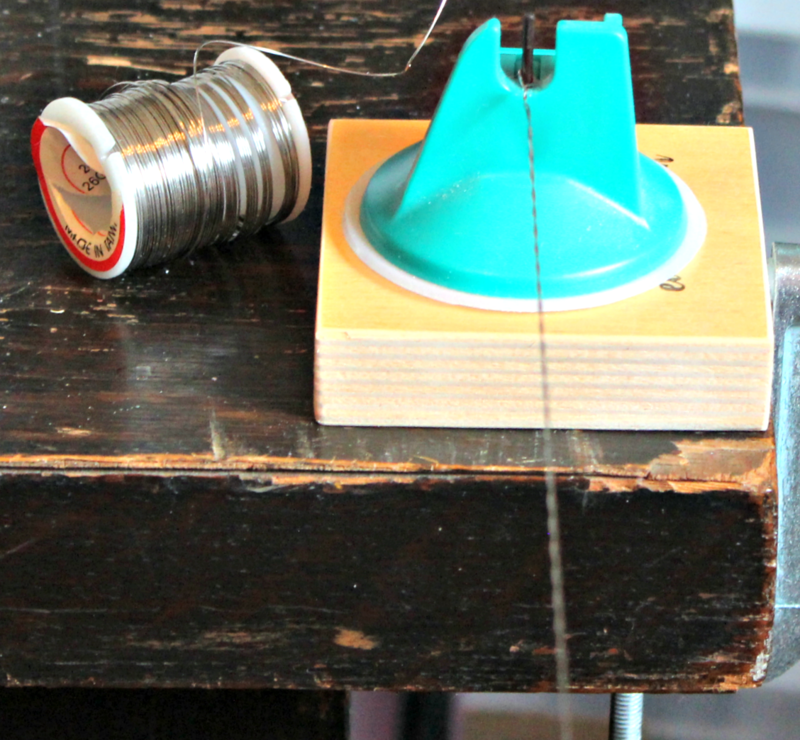 Using the Twist and Turn Tool; twist wire for handle. Add twisted wire to pocket; twist around dowel to give a curly tail to wire. Decorate top of prepared pocket with fussy cut images from Meadow Collection. Make and add bow to top along with a wire gear. Die Spring Leaves from pattern paper; place around flowers. 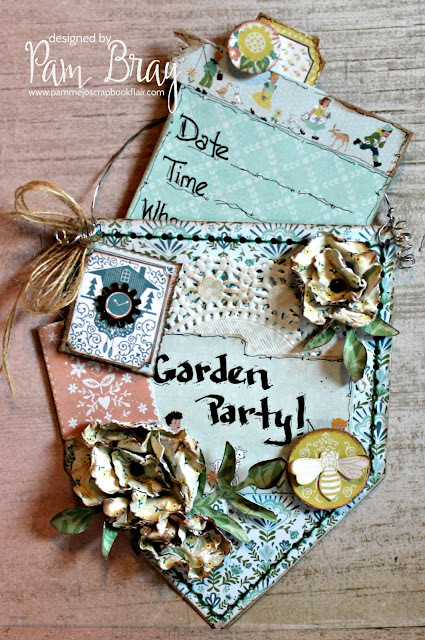 Die cut Recipe Card from pattern paper to create invitation. Write important information and doodles using Sakura pens. 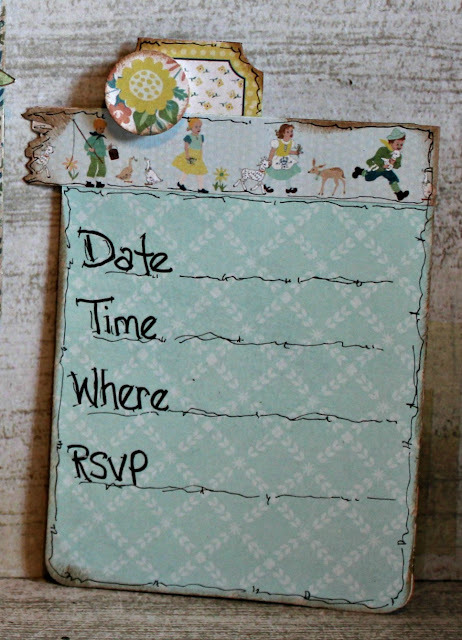 Decorate the top of invitation with border stickers. Add small bee to top of invitation with pop dot. 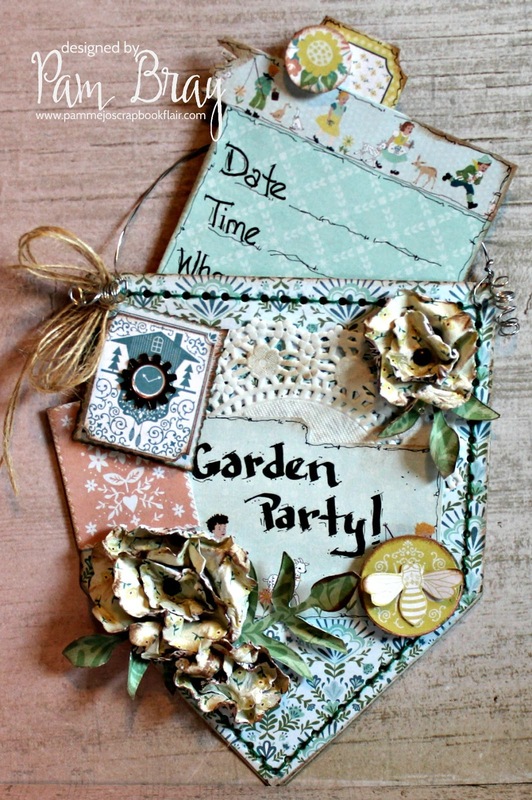 Insert the invitation into prepared Garden Pocket Flower Pocket and you are ready to start sending out your invitations! Pam so clever! Love how you used the pocket for an invitation! The Twist and Style tool makes a great hanger too! Thanks for sharing!